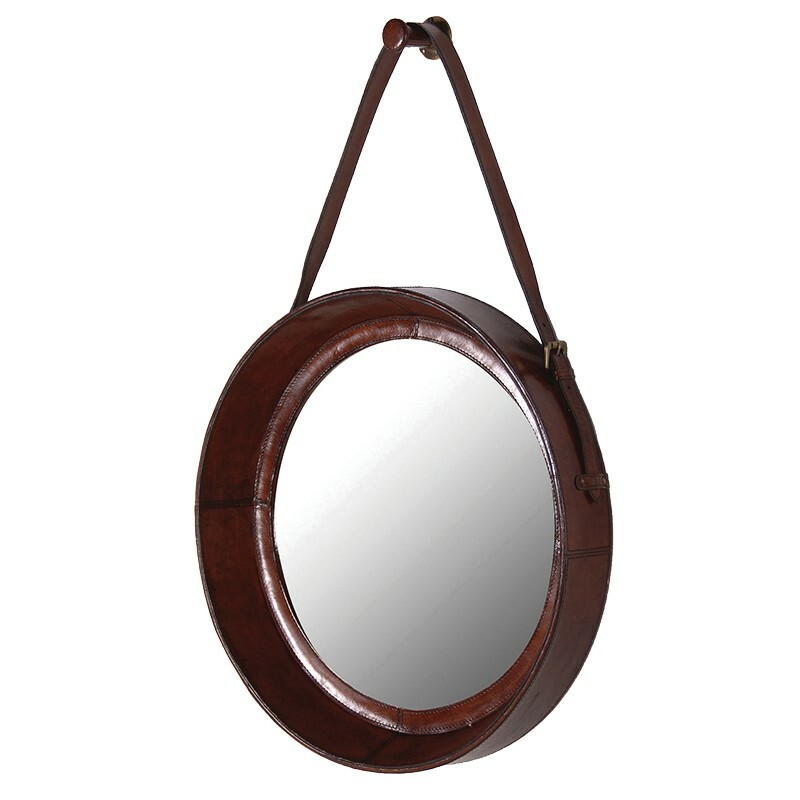 Quality Leather Hanging round mirror with strap and buckle hanging. Supported from a handsome leather and brass nob. This item qualifies for ‘large’ delivery and is only available for delivery.